Sotheby’s (NYSE: BID) June 2017 sales of Contemporary Art in London totaled $105.7 million, representing an increase of 20% in GBP and 16% in USD over the same series last year. The sales capped eight days of auctions of Impressionist, Modern & Contemporary Art at Sotheby’s that achieved $310.3 million. The Contemporary Art Evening Sale totaled $79.8 million and saw 39 of 41 works sold. 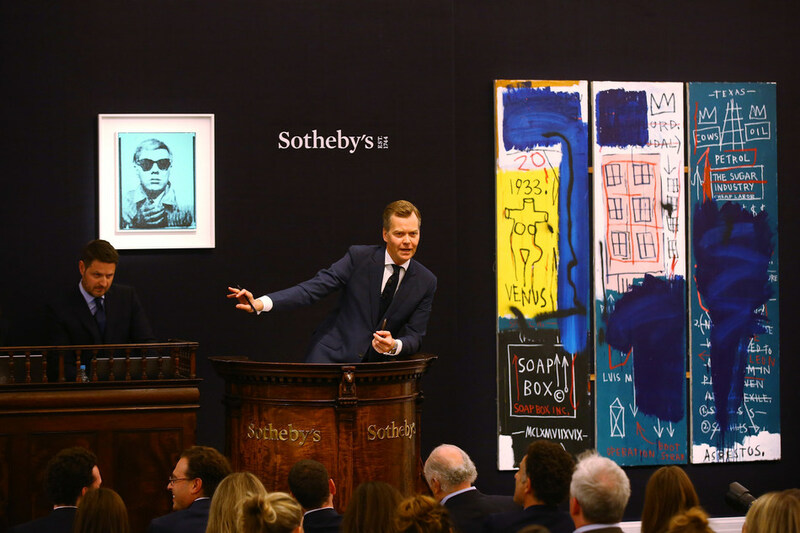 Top lots were dominated by major American artists, including Jean-Michel Basquiat and Andy Warhol. The Day Sale totaled $17.9 million and was led by the work of major German artists including Gerhard Richter, Albert Oehlen, and Günther Uecker. To date, Sotheby’s global Contemporary art auctions for the first half of 2017 are up nearly 30% in USD compared to the same period in 2016. The Company’s autumn sales of Contemporary Art will open in London in early September with more than 400 works from the personal collection of renowned photographer Mario Testino, and later in the month in New York with the collection of noted American playwright Edward Albee. Sotheby’s has been uniting collectors with world-class works of art since 1744. Sotheby’s became the first international auction house when it expanded from London to New York (1955), the first to conduct sales in Hong Kong (1973), India(1992) and France (2001), and the first international fine art auction house in China (2012). Today, Sotheby’s presents auctions in 10 different salesrooms, including New York, London, Hong Kong and Paris, and Sotheby’s BidNow program allows visitors to view all auctions live online and place bids from anywhere in the world. Sotheby’s offers collectors the resources of Sotheby’s Financial Services, the world’s only full-service art financing company, as well as the collection advisory services of its subsidiary, Art Agency, Partners. Sotheby’s presents private sale opportunities in more than 70 categories, including S|2, the gallery arm of Sotheby’s Global Fine Art Division, and two retail businesses, Sotheby’s Diamonds and Sotheby’s Wine. Sotheby’s has a global network of 80 offices in 40 countries and is the oldest company listed on the New York Stock Exchange (BID).